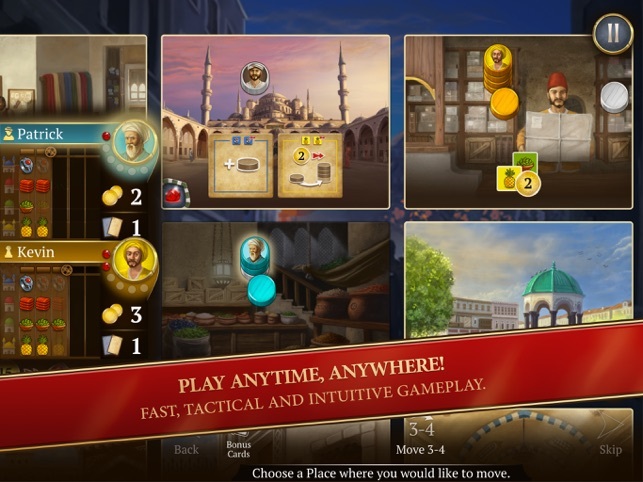 Istanbul is another nicely done board game from the folks over at Acram Digital. 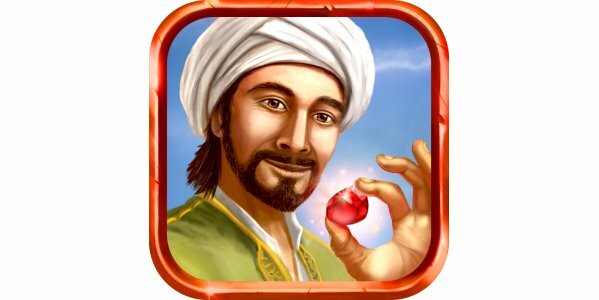 This premium game is available for both Android and iOS devices. After my initial testing of the game, I would recommend you play it on a tablet or larger screen phone. Some of the text is hard to read (at least for us old folks) on a regular smartphone. 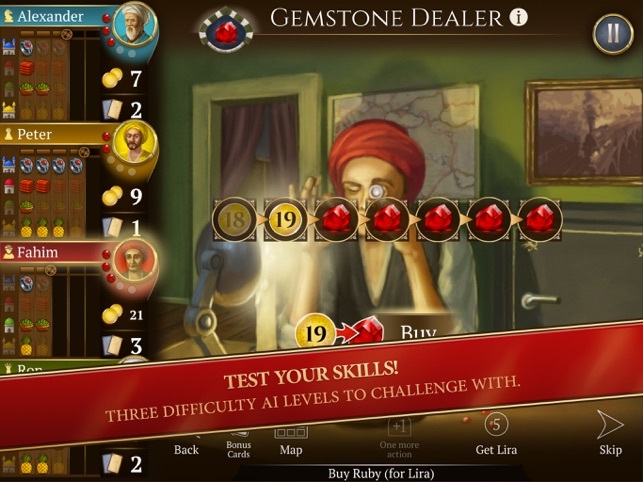 In the game you job is to collect 5 or 6 rubies (depending on the game mode) before your opponent does. You lead a team of one merchant and four assistants through 16 locations in the bazaar. Each location has a different function so you need to decide wisely where you need to go and what the best deals for you are. 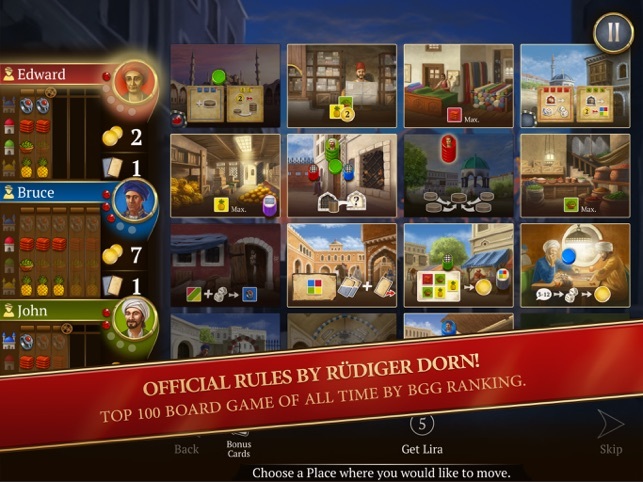 The bazaar is represented in a grid pattern but you cannot move diagonally. There is a a lot going on in the game and quite a few things you need to keep track of. The developers have put together a great tutorial, that I recommend you go through. There is also a help screen you can access at any time. 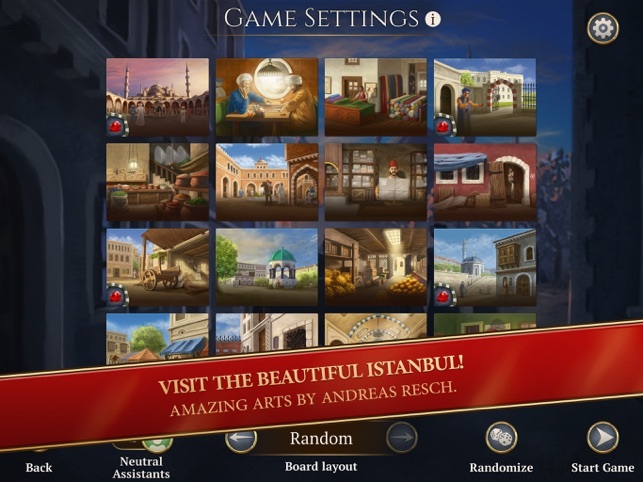 The graphics and sounds are wonderful – they really make you feel that you are in the bazaar. Overall the game is a gem. The developers have really done a great job on this right from the start. I wish the text was a bit bigger so I could play on my phone but maybe in a future update. 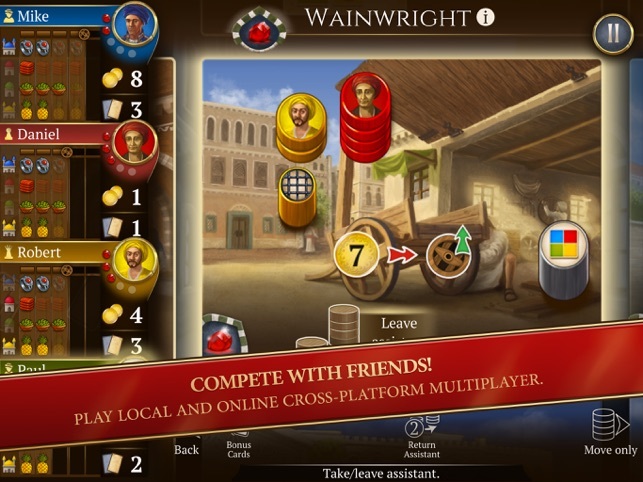 I have no problem recommending the game- digital board game users will definitely enjoy this one. A great adaption of the award winning board game. This is definitely one you want to for your digital library.